Dr. Sarita Freedman is a licensed psychologist and maintains a private practice in Calabasas, California, USA. Dr. Freedman has over 30 years’ experience working with children, adults, and families, in both educational and clinical settings. She has published articles in autism-related magazines and presented on many aspects of Autism Spectrum Disorders at conferences. Formerly, Dr. Freedman co-founded the Child Development Institute where she was Director of Special Needs Programs. 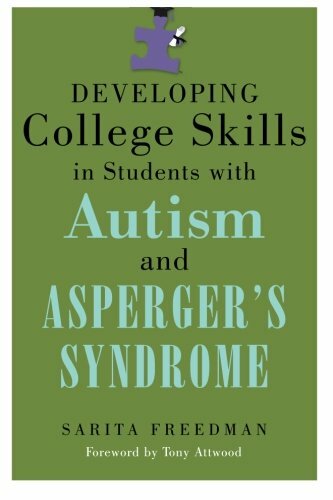 Dr. Freedman is the founder of College on the Spectrum®, devoted to helping students with Autism and Asperger’s Syndrome succeed in college and in life. Katelynn Bartleson, Jessica Kingsley Publishers, 400 Market Street, Suite 400, Philadelphia, PA 19106, USA.